Development department that constantly designs new, successful models such as 882 men’s shirt finisher. It has been adapted for finishing smaller sizes, such as women’s blouses. “Dear friends, 882 men’s shirt finisher by Barbanti is fantastic. It is just so perfect that it would be great to have it in a version of women’s blouses finisher, too”. This is what one of the affectionate Barbanti’s clients wrote in a letter to a dealer. “Easy said, easy done”. Following the input of the dealer, shirt finisher 882 for women’s blouses designed by Barbanti’s R&D is now fully available and functioning. The above is just one of the most recent examples that can be found in Barbanti products catalogue. Flipping through its pages is like watching a commercial of Made in Italy. In and out, its functions and mechanism, from the creative part to a complete design. From whatever perspective one chooses to observe it, the user “guide” for ironing machines produced by this company based in Mirandola in Emilia-Romagna region tells us all about the genius of Italian production through the images in the catalogue. They recall a range of concepts starting from Leonardo da Vinci’s drawing of the Vitruvian Man to high quality artisan design, from parade floats to engineering labs, from a tailor atelier to robots. Such wide and continuous variety of form finishers, presses, toppers, generators and ironing tables can only be explained through the established, global success of the brand. The impact it has for many foreign clients is comparable to names like Maserati, Barilla, Armani or Lavazza, meaning high quality, efficiency, recognition and durability that compose the Made in Italy. It has been like this for the last sixty years, ever since the famous “coppia” (a couple) was created by Ilario Barbanti in order to speed up and optimize the ironing process so that the operator could always benefit from a hot iron as it would get heated while the other one was in use. The invention inevitably made it big in the Italian and world market. 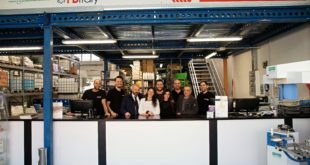 High quality Italian machines realized later on by Ilario’s son, Carlo who runs the company today with his children Angela and Roberto, have been as successful as the initial one at the time. Eventually, an international community of Barbanti customers was founded. Its members are always in touch with the company and their number has been growing. 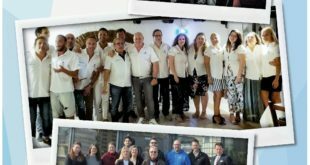 “Otherwise we would not be able to talk about the flexibility as a crucial aspect of the global success and the continuous expansion of our brand – Angela Barbanti says. – The case of model 882 “blouse finishing version” is a perfect example of what we have created here over time. I am talking about a network of dealers able to update us real time, to forward requests from our clients, just like that one concerning the blouse finisher”. “These relations – Roberto Barbanti continues – do not only allow us to monitor the market but to anticipate its requests and influence it positively as soon as a new technological gap comes out, a new market niche to challenge or a new lead to follow appear. Made in Italy teaches what Barbanti puts into practice on the daily basis: discover solutions, indicate actions, impose tendencies”. The results are the feedback from a dealer who, some time ago, informed about the request for model 882 updated for smaller sizes: “The machine has been selling extremely well which is far beyond our expectations”. Reaching such high levels of excellent quality means extraordinary empathy in the company’s DNA. 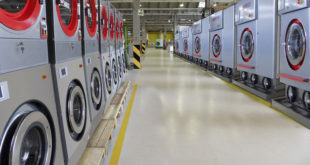 Considering the figures, not necessarily six-digit numbers and given the vast range of machines present in the laundry sector, Barbanti responds without problems. Speaking of quantities, there is the story of 435, a shirt finisher that optimizes the combination of user friendly and high productivity. 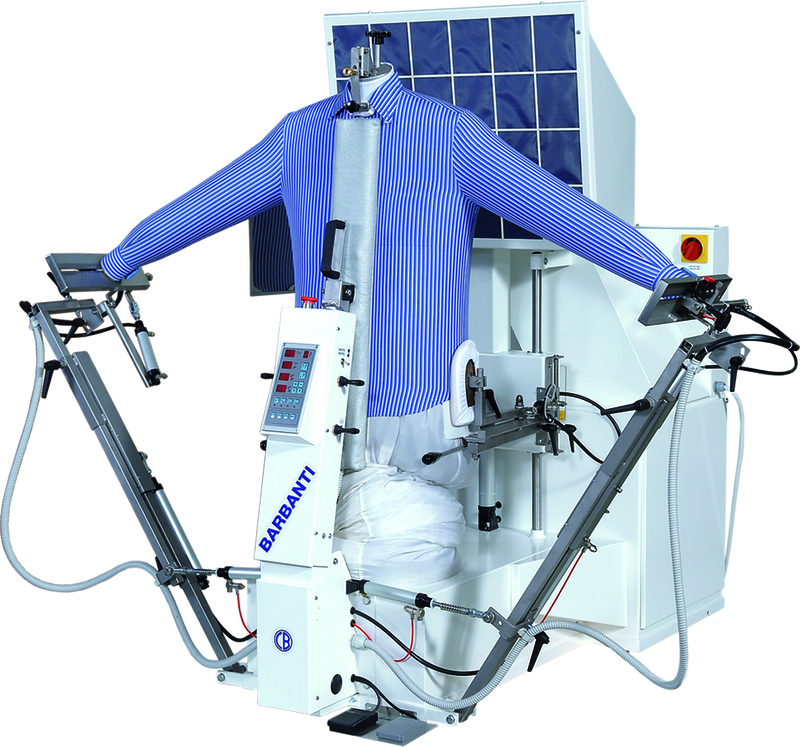 It has been designed to meet all the requests of a client who eventually purchased ten of them with a guarantee to dry and iron 1.8m shirts per year with significant energy saving. There are also other specific requests coming from clients who do not process large quantities, e.g. one of the manufacturers of wearing apparel. “That company typically dedicates time and important resources to the creation of samples that become their business card for the whole year – says Angela Barbanti. – Our client decided to create a small area dedicated to ironing and finishing of samples so that they could verify the reaction to treatments real time. 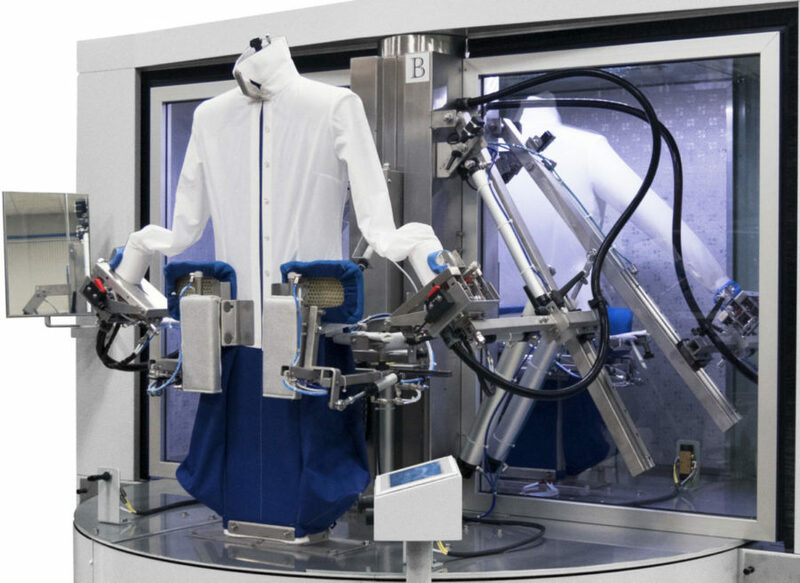 Therefore, they needed a universal shirt finisher for any type of outerwear, jackets and shirts: model 451 turned out to be a perfect solution”. 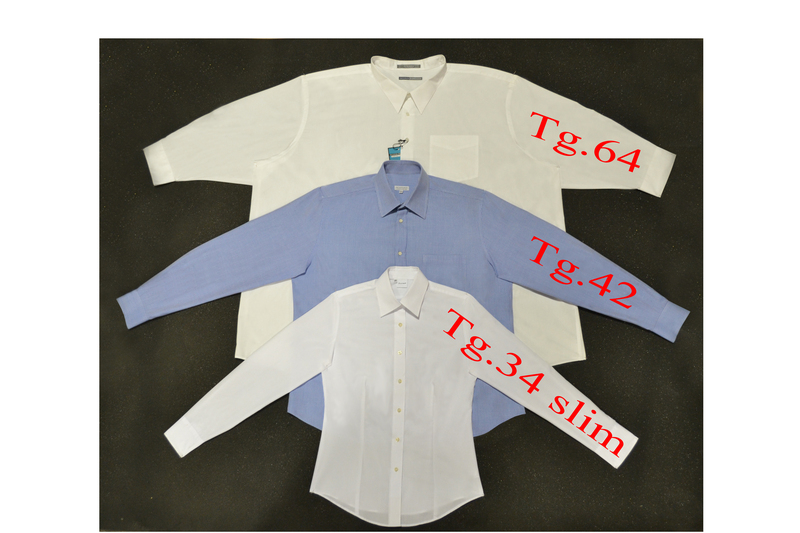 Other examples of this type incude: the modification of a white coats finisher to adapt it for oversize shirts finisher, or the modification of a topper so that it can process trousers up to 160 cm waist size. Another strong point by Barbanti’s R&D division is model 484. It is the evolution of an already appreciated shirt finisher. More than 25 years of experience allowed for reaching great results: extraordinary combination of high hourly production, perfect finishing quality and energy saving. What is more, 484 has been provided with innovative technology that contributes to its extraordinary performance. The work station has become more healthy and comfortable thanks to a low level of noise and room temperature at the outer part of the machine which prevents the operators from being subjected to hot air at every ironing cycle. 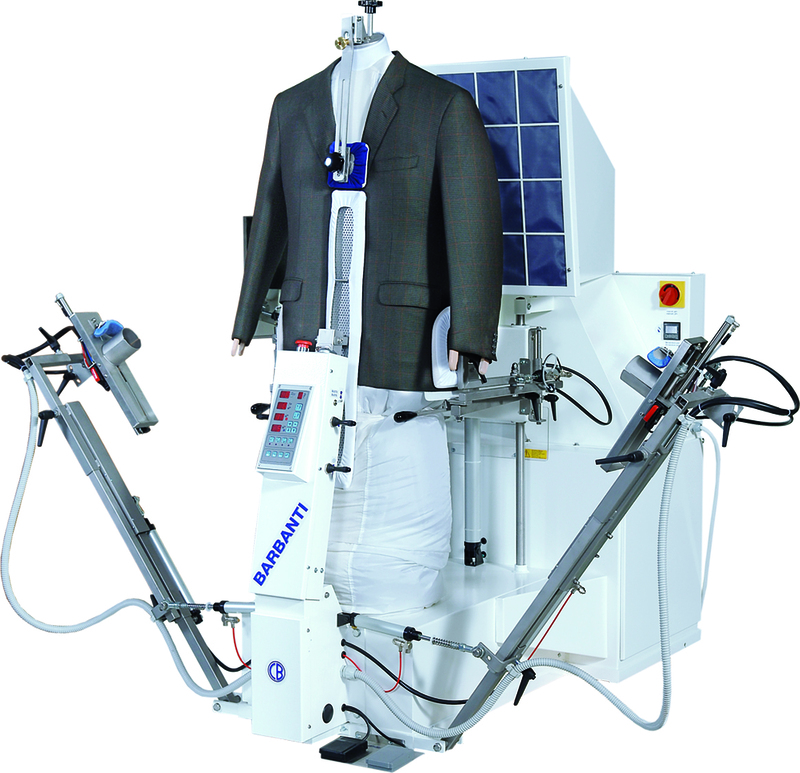 Moreover, the simplicity of garments positioning and the userfriendly technology of the machine allow for obtaining outstanding results immediately, without the necessary intervention of specialized staff. But how does Barbanti manage to interact with all their numerous clients who differ one from another all over the world? Nowadays, it is important to underline that the answer does not include advanced technology only. It is something else. 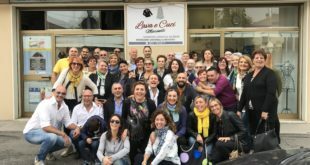 What is crucial for Barbanti is the collaboration with their dealers: both to understand their needs in order to meet them and to assist them in the post-selling stage through training and constant technical support. Another core characteristics of Barbanti is their strong interest in environmental protection, global well-being and energy saving. As far as the latter is concerned, it is a common fact that in textile maintenance ironing sector, the boilers are always on and the machines are always working (different from the washing sector) which can cause significant waste of energy. Barbanti has cancelled this gap sharply thanks to a computer touch-screen that, apart from completely managing the machine, can use the standby mode. Once it is set, it turns the machine off when it is not used, even for a short time, by disconnecting it from steam and energy sources. When it needs to be used again, it is enough to touch the screen in order to set all its functions back and start it again.